Death defying dives from a great height, acrobats, high speed motor cycles, water ballet, high energy atmospheric music, fantastic costumes and incredible special effects. All this and more is featured in one of the most spectacular shows currently being performed in Macau. A creative masterpiece that was five years in development and two years in rehearsal, the production combines theatre, dance, gymnastic artistry and high-performance diving, all of which push the physical boundaries of human performance. 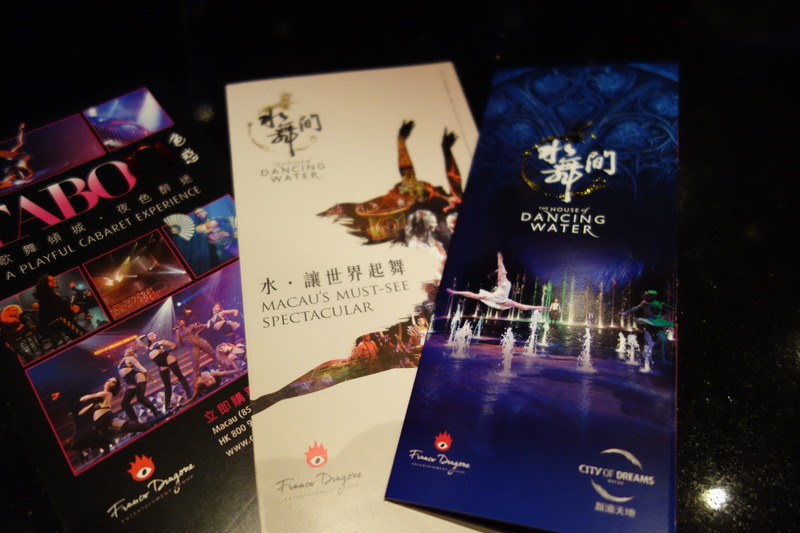 House of Dancing Water is a “not to be missed” extravaganza, performed in the purpose built Dancing Water Theatre, located next door to the Grand Hyatt Macau Hotel in the City of Dreams. Designed by world renowned Sandi Pei of Pei Partnership, the theatre features approximately 2,000 seats which are arranged in a semi-circle around the centre stage/pool, offering a perfect view from every seat. The pool holds 3.7 million gallons of water, equivalent to 5 Olympic sized swimming pools. The night I saw the show, I was fascinated watching those seated in the front row holding up screens they had been issued to protect them from any water splashes or spray that may escape, while the action was happening in the pool. If you are staying in Hong Kong, there’s no need to miss seeing House of Dancing Water. Visit Macau for the day, it’s only an hour away by Turbojet, with frequent services running throughout the day and night. Spend the day taking in the sights of this former Portuguese territory, with its black and white cobbled stoned squares complete with heritage buildings standing side by side with modern skyscrapers, then see the show which runs for 85 minutes with no intermission. Some evenings there are two shows at 5 pm and 8 pm. Within the City of Dreams, there is a vast choice of dining venues, offering an extensive range of cuisines for theatre goers to enjoy a meal, either before or after the show. 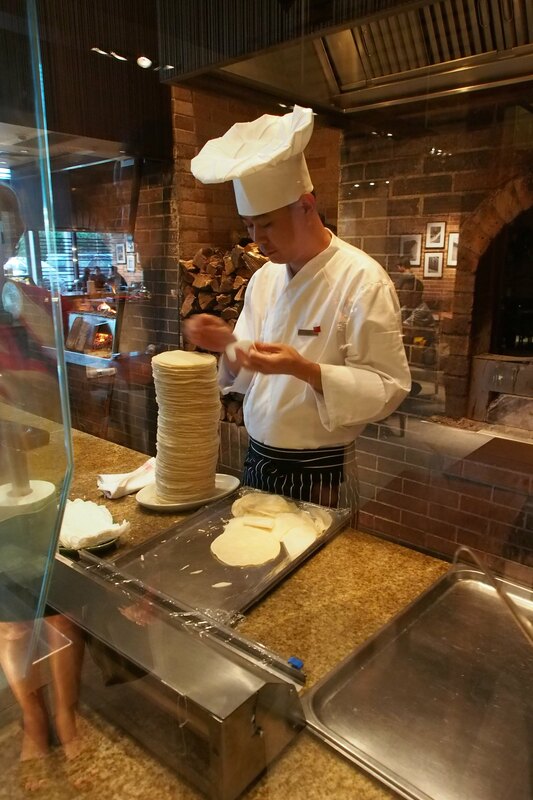 The night I went to the show, I decided to dine after the performance and as I love Chinese cuisine, what could be better than the Beijing Kitchen in the foyer level of the Grand Hyatt Hotel. 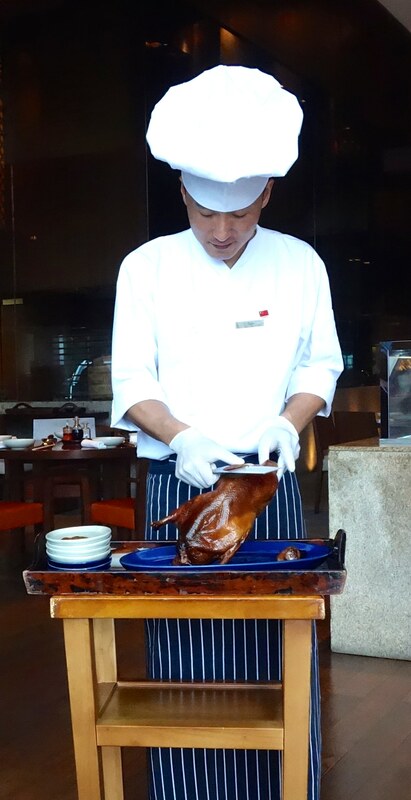 Their specialty of traditional Beijing style duck that’s cooked in their wood fired oven, complete with all the classic condiments was something that I could not pass up. Absolutely superb, was the only way to describe this memorable meal. No visit to Macau is complete without seeing House of Dancing Water. This entry was posted on Saturday, September 20th, 2014 at 9:43 am and is filed under Uncategorized. You can follow any responses to this entry through the RSS 2.0 feed. You can leave a response, or trackback from your own site.